Rasmalai is a very delicious sweet dessert of Bengal and now famous all over India. 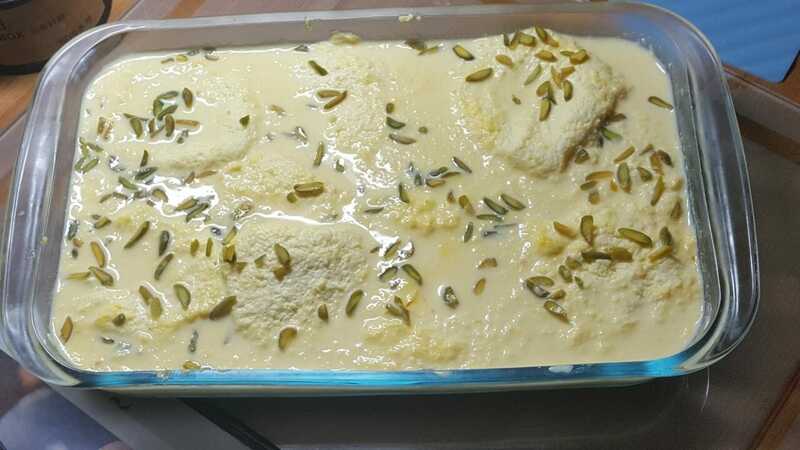 Rasmalai is a perfect recipe for a festival & special occasions like marriage party, birthday party and any kind of celebration. Take a deep-pan on a high flame add milk and boil, while stirring twice in between 5-7 minutes. Reduce the flame high to medium and cook for 10-15 minutes or till milk reduce to half its quantity.Stirring regularly and scraping the side of the pan, add sugar to the boiling milk and soaked saffron and cardamom powder.Mix well, keep aside to cool for 25-30 minutes and refrigerate for at least 1 hour. Boil the milk in a pan on high flame this will take 5-7 minutes, switch off the flame put vinegar or lemon juice and keep string gently till it curdles. Take a muslin cloth and strain it, wash it with cold water and mash it gently for 1-2 minutes. Tie and hang it for30 minutes for the extra water to drain out, squeeze the muslin cloth. take out paneer from muslin cloths on a plate and knead paneer very well use your palms5-7 minutes or till the paneer is free with lumps. Divide the paneer into equal portion and roll each portion into a small ball and flatten with the help of palm, keep aside. Take a pan add4-5 cups water, add sugar and bring to boil while stringing that sugar dissolves completely, put the paneer flat balls into the sugar syrup and steam5-7 minutes.Switch off heat and allow it to stand for 15-20 minutes. Remove Rasmalai one by one from the sugar syrup, squeeze them gently and add them saffron flavored milk and stir gently.